Do you have friends, relatives, or colleagues uninterested in investing time to understand why the Bible is relevant? 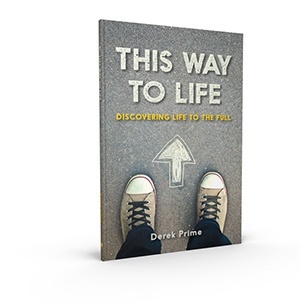 In a world too noisy for many to sort out the facts surrounding the life, death, and resurrection of Jesus, author Derek Prime cuts to the chase and provides a succinct, fact-based narrative explaining who Jesus is, why He came, and why it matters. Jesus Christ offers us an answer in a world full of questions. Through Him, life in the here and now can be what God originally intended it to be: satisfying, full of purpose, and rich with joy, even in the midst of hardships. Examine the facts of Christianity in this concise, but thorough, handbook. It’s perfect to share with a friend or loved one who may not know the fulfillment that life in Christ offers.